Webex is a video conference, online meetings, and screen sharing software. Its other features include whiteboarding, file sharing, collaboration, end-to-end encryption, and more. In this article, we cover Webex reviews and pricing. Ready to get started? Get a free trial. 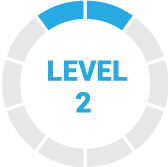 Users who gave Webex a positive review said that the software is easy to use. Some of them also commended on specific features such as multi-platform capabilities, screen-sharing, chatting, and scheduling in Outlook. Users who gave Webex a negative review reported various issues with the software’s overall performance. Some of them complained about the lack of screen sharing capability on mobile use, unsaved recordings, disconnected audio, and clunky user interface design. Webex pricing has three subscription plans: Premium 8 ($24 per month), Premium 25 ($49 per month), and Premium 100 ($89 per month). The main difference between the plans is the number of attendees per conference. They also offer a pay-as-you-go Call Me plan add-on (starts at $0.12 per minute) for immediate meeting access via phone call. Ready to get started with Webex? Get a free trial. 6 Best Video Conferencing Software for 2018 – Video conferencing software helps business owners meet with clients, customers, and remote workers over the internet when face-to-face meetings aren’t feasible. In this guide, we looked at a range of video conferencing services and compared the top six to learn which services stood out and which is the best overall. Can Webex accommodate conference calls that have more than 100 attendees? Yes, because Webex is a scalable software. For needs beyond the Premium 100 plan, users may call the Webex support team for a custom quote. Is there an all-in-one dashboard for managing Webex services? Yes. 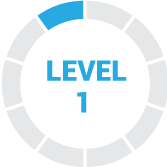 The Cisco Webex Control Hub helps manage users, services, and devices. The hub is accessible using Google Chrome and Mozilla Firefox browsers. 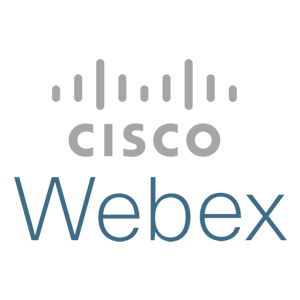 Have you read these Webex reviews and are still not sure if it’s the right fit for you? Read our reviews of all top video conferencing software. WebEx has responded to the growing competition in the online meeting space by moving towards more comprehensive team communication. It has vastly improved in ease of use over the past few years through integration of teams and improvement of the web client for both holding meetings and scheduling them. For example, setting up events, including managing presenters and attendees, and tasks such as scheduling repeating meetings across time zones with calendar events has become much simpler since 2014-2015. If you haven’t used WebEx in the past 2-3 years because of these issues, you should take another look. When it comes to use in the enterprise, WebEx does its job well and is most likely to be whitelisted by IT security teams. Competitors are sometimes not so lucky, which creates headaches for teams and vendors. On some platforms, particularly the Mac, there are still occasional glitches in starting video conferences caused by software updates. This could be a function of changes by both Cisco and Apple over time creating compatibility issues. Fortunately, the iOS client never has these issues in my experience. On the usability front, things are not 100% perfect all of the time. For less technical users (often in Sales and similar departments), an interface that was a bit more “handholding” would be nice so that teams could be more confident in setting up and running meetings without technical assistance. On the messaging front, WebEx Teams is not Slack (what else is? ), but it’s good enough for most companies. That the best way to get support from Cisco is still to call, rather than via support tickets, chat or email. The quality of call is irreplaceable.It allows to Share Screen with multiple peoples.It is very Handy and easy to use. Something is slow when the application is launched.Mobile App must be up raged for better connectivity. There is not much that i can add but Webex is best for Video and audio calling.Thus, by enhancing some feature it will be more helpful. WebEx makes the video calls and conferences with the members of the company totally in real time, each user can access the video calls with an invitation or with a password. The tools are great. Meetings can be from anywhere and from any device just by logging in. We have presented frequent audio problems, but from there there is something else that we do not like about this application. There is not much that I can add, really WebEx has fulfilled its task, we changed to it after some functionality problems with our old software.